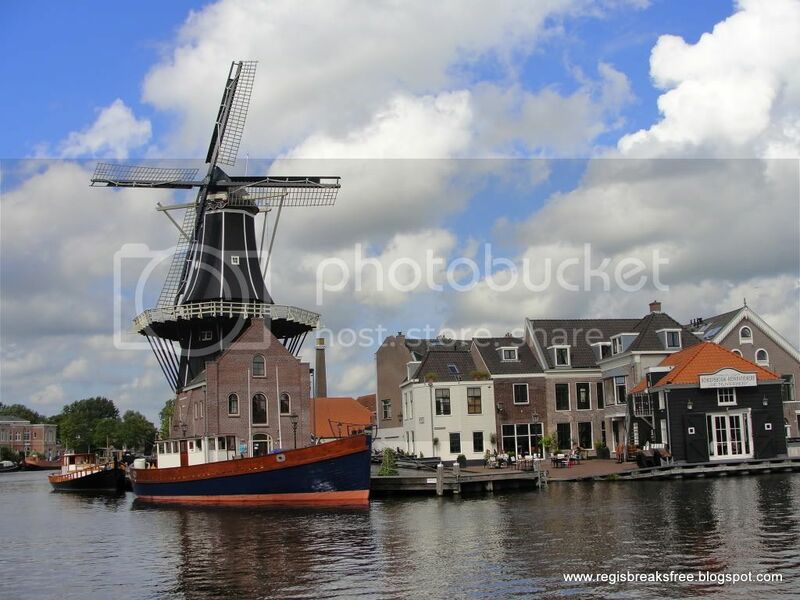 The city of Haarlem was conveniently located only 10 minutes by train from my Great Aunt's house, and I had wanted to visit it ever since I had read, "The Hiding Place" by Corrie Ten Boom. If you have never read or heard of this story, well...you should read the book. But basically it is the true story of a Dutch woman in her forties who helped Jews in Haarlem during World War II. It is a pretty incredible little book, and I knew I wanted to check out the Corrie Ten Boom Museum which is located in the original house. It didn't take us long to get there from the train station. 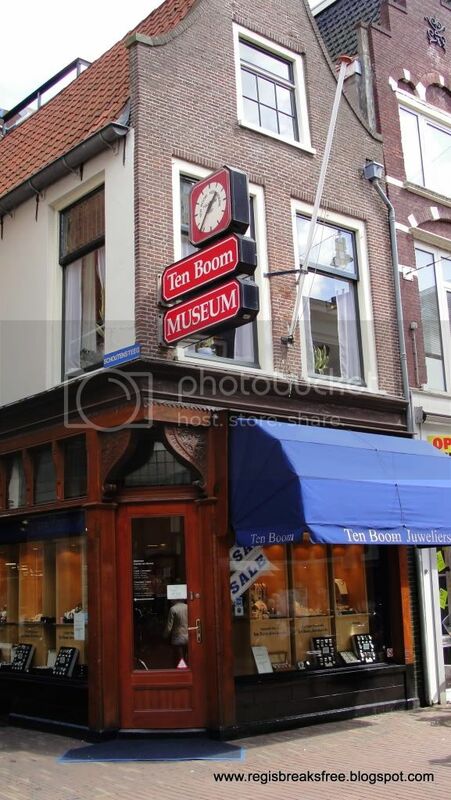 The front shop still operates as the "Ten Boom Jewelers" watch and jewelry store, and the museum can be found tucked a little ways down the side alley, where the Ten Booms lived. We arrived about a half hour early for the tour in English, which was perfect! My friend Brittany had not read the book, and didn't know the story, so it was cool to get her reaction to it. The house was decorated and arranged to look like it would have during the war years, and there were lots of pictures of the family and characters from the book on the wall. Our guide (who worked on a volunteer basis) was wonderful...very friendly and passionate about the story. 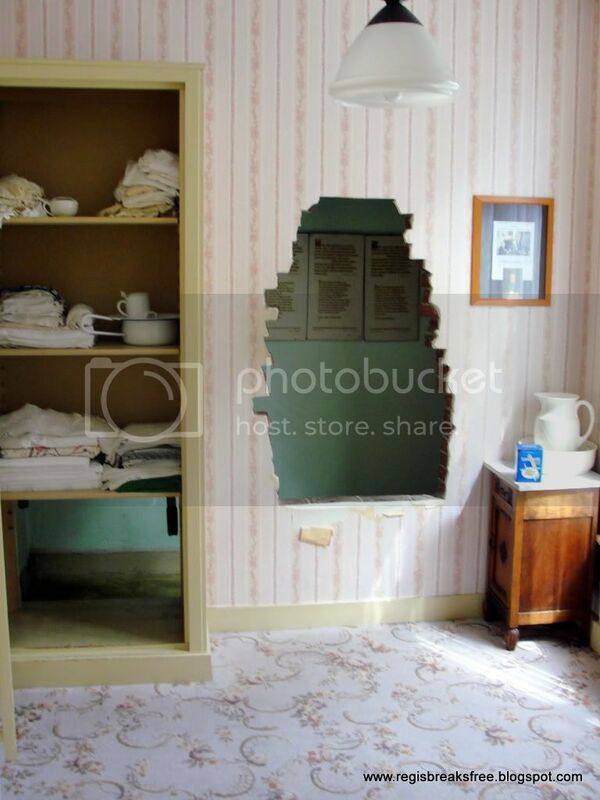 She explained about how the Ten Boom household always had their door open to those in need, how they were involved in the Resistance, and how they carefully built the hiding place into Corrie's (already tiny) room by constructing a brick wall, and a sliding panel behind the closet...all seamlessly done. 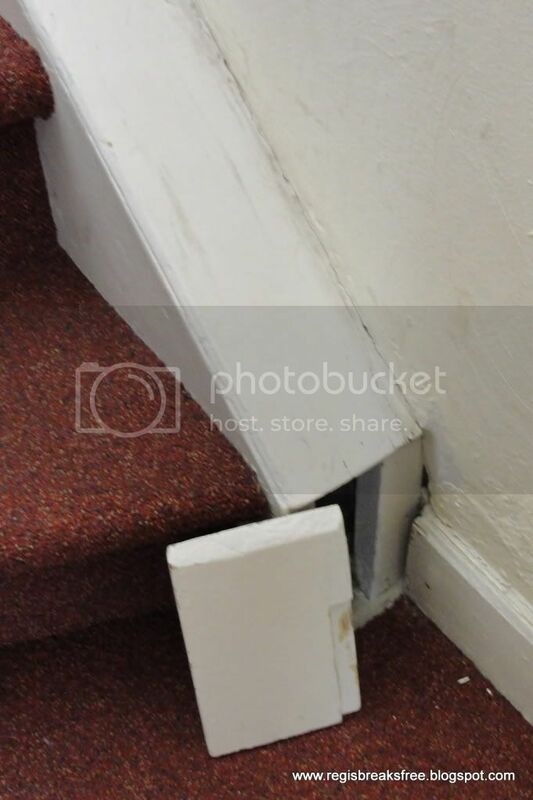 You literally could not tell that it was not original...apart from the fact that they took out the gap for interested tourists like myself! The tour took maybe an hour, but it was very interesting and, in keeping with Corrie's generous ways, it is free (though you can make a donation, there is absolutely no pressure to do so). There is also a bookstore, selling Corrie's writings in many different languages, and a few other Hiding Place related things. Definitely worth a visit! The Ten Booms hid ration cards and false identity papers in the sideboards. After that we explored a little bit more of Haarlem, and I really loved it. While its only a short train ride from Amsterdam, it feels 100% more authentically Dutch, and sooo much less touristed! We literally felt like the only tourists in the city (that is a good thing). 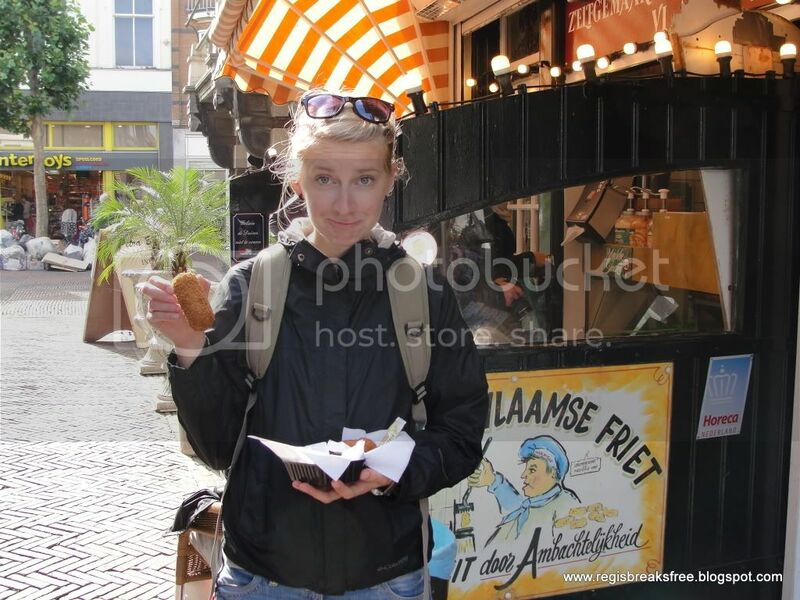 We even found a delicious fast food stand that sold krokets: a delicious Dutch delicacy, consisting of a thick stew-like filling, breaded and deep-friend to perfection. Brit said she liked them, and I ate....3....yes, I did. They were so good (but not as good as my mom's!). I think I could live in Haarlem. 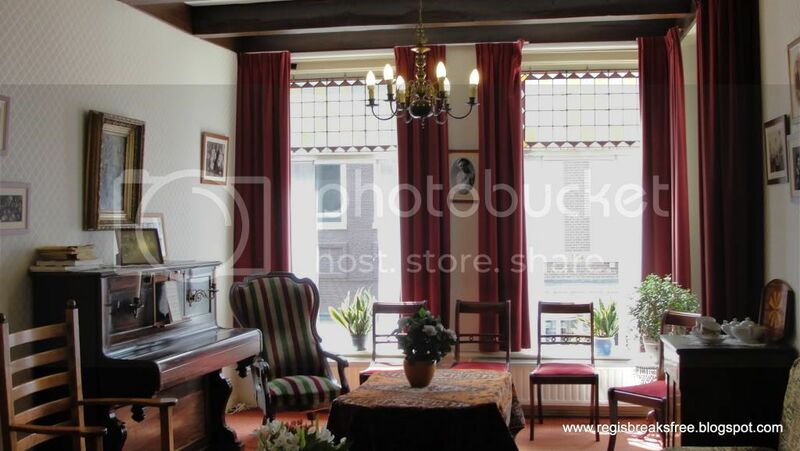 I would love to see Corrie Ten Boom's house! What a great opportunity! I have to admit I am surprised your friend had not heard of the story. I was surprised as well. Know what is interesting is, the guide said Corrie's story is much more well known in North America than it is in Holland! The Hiding Place is one of my favorite books of all time. It makes me cry every time. That would be a fantastic place to visit!